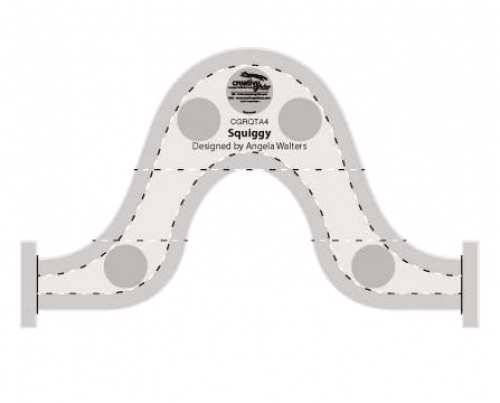 Squiggy may look different that your normal machine quilting ruler, but trust us, it's your go-to ruler for machine quilting serpentine lines and wavy designs. The serpentine line is a curvy design that's perfect for quilt borders and sashings. It adds beautiful texture and depth to your quilts, but can be difficult to free-motion quilt. 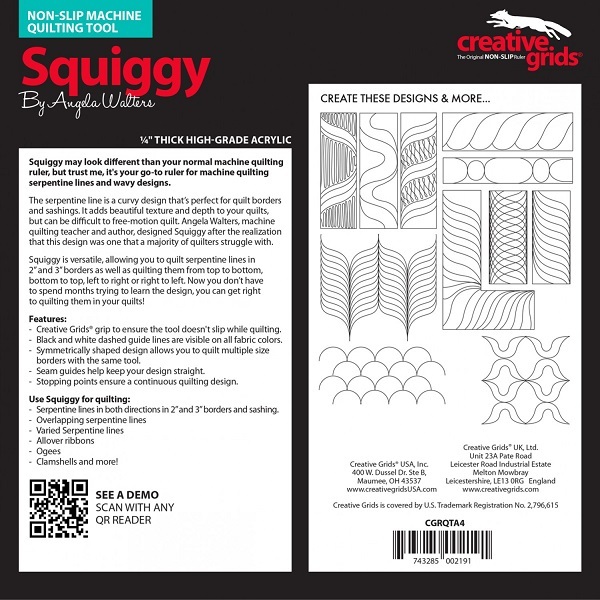 Angela Walters, machine quilting teacher and author, designed Squiggy after the realization that this design was one that a majority of quilters struggle with. Squiggy is versatile, allowing you to quilt serpentine lines in 2 inch and 3 inch borders as well as quilting them from top to bottom, bottom to top, left to right or right to left. Now you don't have to spend months trying to learn the design, you can get right to quilting them in your quilts!